I’ve always wanted to make a terrine so when Penny tooted the International Incident Party horn, I danced to her tune. A year ago, I updated my library with a purchase of Franck Pontais’s book ‘Terrines & Verrines’– one of the few English books (the other mostly in French) on the subject of those two master categories of cuisine a la Francais. Terrines are great make-ahead (and good-to-freeze) dishes for large gatherings – making great accompaniments to main courses; alternatively, they could be well portioned into small portions for starters or canapés. So armed with this great catalogue of beautiful recipes and flavours, I set about trying out mini versions. Pressed – built with layers of ingredients and left to set overnight. 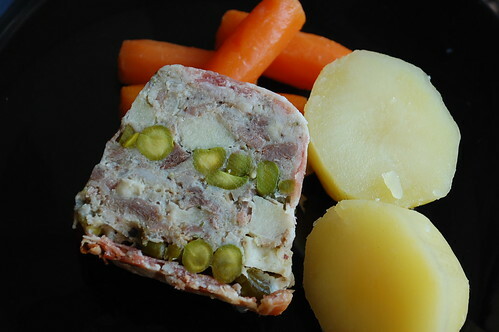 May use cooked or uncooked ingredients but the finished terrine will not require cooking. 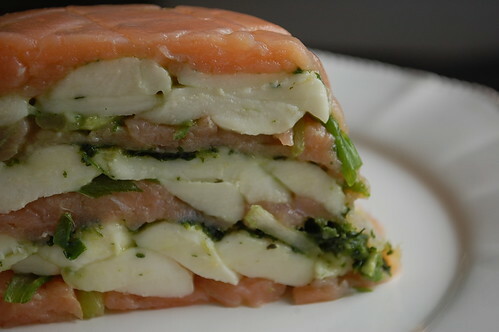 Set – terrines which use gelling agents (gelatin, aspic) to produce the structure and create a ‘set’. 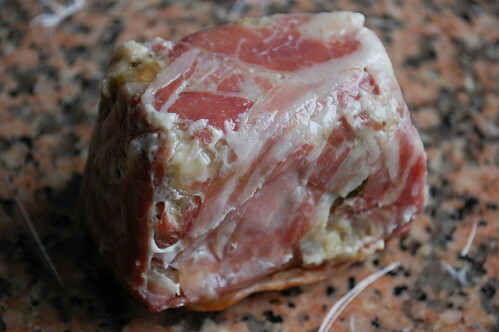 Cooked – terrines which require heat, on the stove top or in the oven to fuse the layers and flavours. Note, meatloaf is a version of terrine. Just called by a different name! What is the difference between pate, terrine and meatloaf? It is really a puzzlement since the original meanings have been diluted, fudged and fiddled with in so many ways that there are no longer any clear lines of definition. 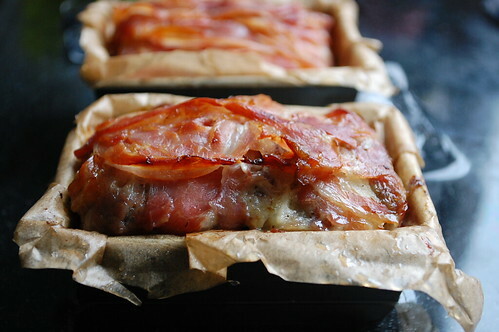 Pates, according to the ever-chauvinistic French, can only be meat or fish dishes enclosed in pastry. 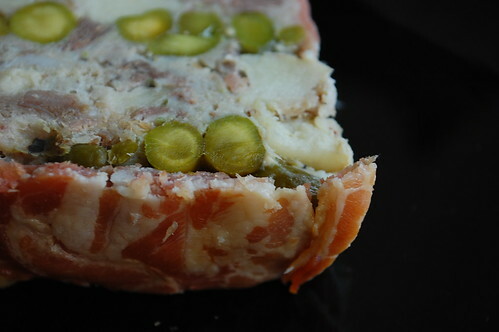 Terrines, which are named for the container in which they are cooked and served, must be completely cold before eating and are usually made of meat or fish…… Meatloaf is a meat dish often served in the pan in which it was baked, sometimes it is served hot and sometimes cold, and in many ways it resembles a very chunky country pate. I adapted this ‘set terrine’ recipe by making a herb paste instead of using basil leaves and adding spring onions to the mix. We enjoyed them on a Sunday morning, with crepes and creme fraiche. Line a ramekin or small loaf tin with cling film. I made three layers with this set of ingredients so consider this before you begin. 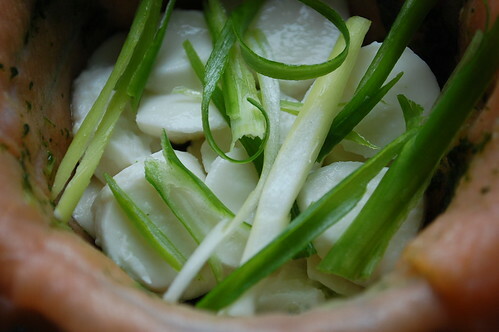 Make a paste of the herbs, oil, and lemon juice. 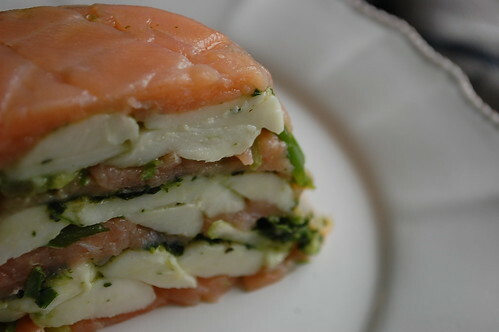 Lay slices of smoked salmon to cover the base, sides and to overhang a bit. 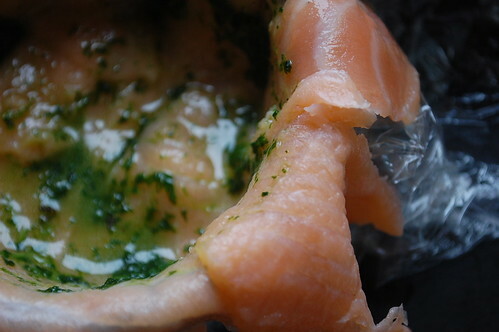 Lightly brush the base of the salmon with the herb paste. Lay a third of the mozzarella to cover the entire base. Top with a third of the spring onions and finish with some salmon. Brush on some herb paste and repeat so two more layers are formed and the finished height is 1-2cm above the mould. 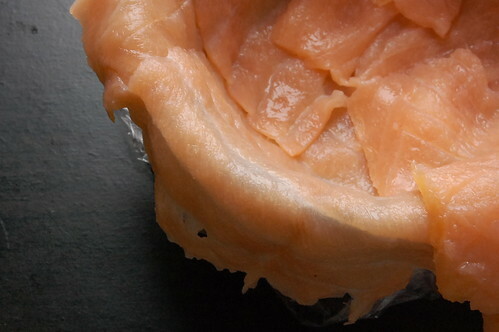 Finish off by pulling the overhanging salmon slices over the top to form a sealed base. 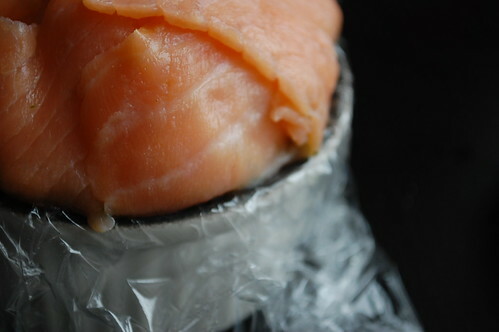 Pull up the overhanging cling film to close and place in the fridge. Apply weights over the top to help the terrine set. (I set a jar of barley syrup over my ramekin and that worked fine). The following day, remove the terrine from the mould and slice with a serated knife. 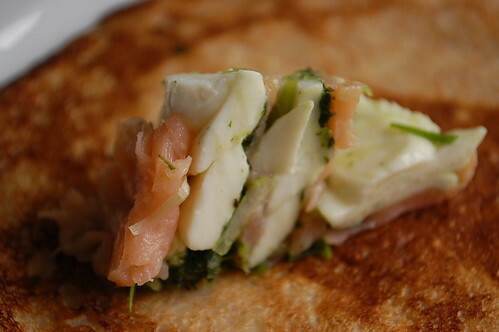 Serve with a salad and dressing, or pancakes and cream. And imagine yourself on a fjord in Scandinavia, sitting on a white deck chair with blue and white espadrilles on your feet. My second terrine, technically looked good – duck and apples, what could go wrong? Nothing? Well, we’ll see. Pull the meat off the duck leg and chop finely. Core the apple, and cut into two. Chop one half finely (will go in meat mix), and slice the other half thinly (for lining the mould). Make a paste of the jalapeno, crushed juniper berries and black peppercorns in a mortar and pestle. Stir the cream into the paste and salt, to taste. Mix this cream-spice-chilli mix with the sausage meat and using your fingers or 2 forks, mix properly so it is well combined. 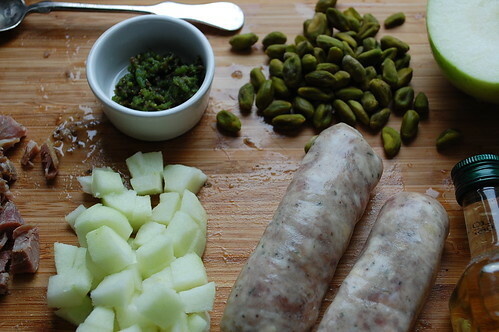 Add the chopped duck confit, chopped apples and calvados to the sausage mixture and mix well again. 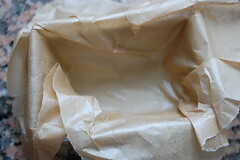 Line a mould with baking paper or parchment. If this doesn’t appeal to you, then grease well with butter so the terrine can be unmoulded without problems. 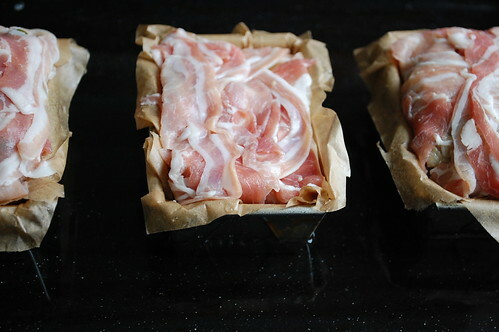 Lay pancetta slices into the mould to form the outer crust, leaving some hanging over to close. 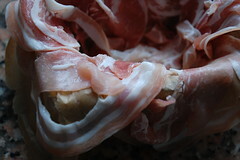 Now my pancetta slices were round, not long and thin so I began by lining the base and then moving up to the sides . For one of the moulds, I added an additional layer of thinly sliced apples to the base and round the sides. 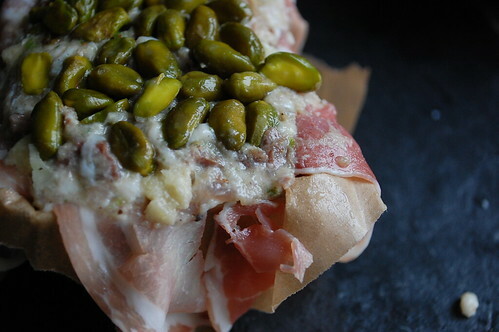 Place a third of the mixture in the dish and then stud with the whole nuts – pistachios in my case. Add another layer of meat mix, repeat with the nut studs and finish with the remaining meat. 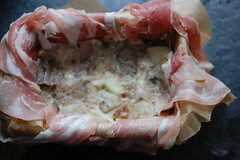 Cover with slices of pancetta. Gently knock your terrine pans on your work surface to remove any air bubbles. Place the terrines in a deep baking tray, then fill the tray with water to come up halfway the side of the terrine moulds. 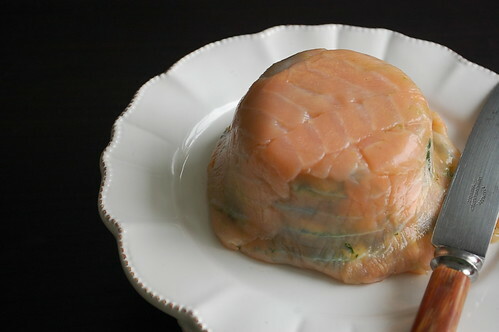 Cook meat terrine at 225 degrees C to get colour on the outside – 20 – 25 minutes, then cover with foil and reduce the heat to 160 degrees C for 40 – 45 minutes (based on 1 kg of terrine). The terrine is cooked when the internal temperature reads 72 degrees c, using a probe. Remove from the oven and place terrines in ice bath for 30 minutes to ensure rapid cooling. 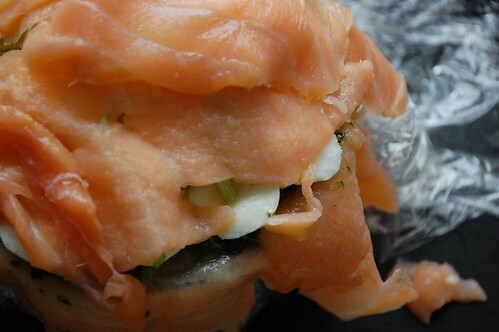 Wrap in clingfilm and refrigerate overnight. 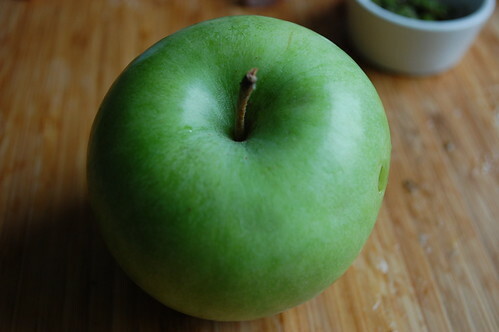 When ready to serve, unmould and cut into thick slices. Serve with boiled potatoes and some gravy. 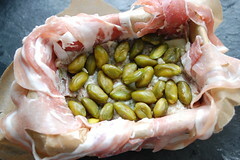 My terrine looked gorgeous when I sliced it – I loved the layers and the gorgeous almost bottle green of the pistachios. Except when I moved to taste, it was all weird. I couldn’t figure it out – the only unfamiliar ingredient I’d used was juniper berries. And I think that may have been the problem. Further investigation revealed that too many juniper berries in any recipe results in a piney flavour. And I think that almost metallic, green-woody taste can be attributed to the junipers. Perhaps you aren’t familiar with juniper berries as a recipe ingredient but if you have ever indulged in a gin and tonic, you have tasted them. Pungent and piney, juniper is what gives gin its unique flavor. Even if you have never tasted gin, you have probably seen juniper growing. This native of Europe, Juniperus communis, has become naturalized in North America to the point of near-weed status. Common juniper is a shrubby evergreen often cultivated as a dwarf tree but, left unfettered, it may reach heights of 20 feet or more. The berries are small, round fruits that take two or three years to ripen from green to a deep blue or purple. Urban foragers in North America may be disappointed with attempts to harvest their own crops. The finest juniper berries, those best suited to culinary use, come from Macedonia and Albania. You may find the spice in a well-stocked supermarket but more likely you will need to seek out a mail order source. Buy juniper berries in small quantities. Unlike other whole spices, they will become tasteless after long storage. Are you a fan of Terrines? What’s the strangest/nicest/easiest terrine you’ve ever made? See what the other guests brought to the party. Thanks Penny for thinking up ways to keep us cooks on our toes, learning and growing!